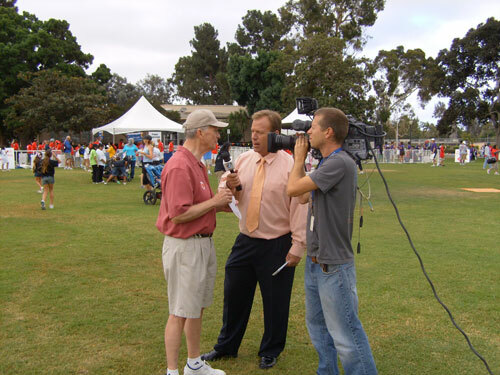 Special thanks to Philippe Lamoise, Ken Tranbarger and Gordon Shurtleff for helping out at this year’s Heart Walk! 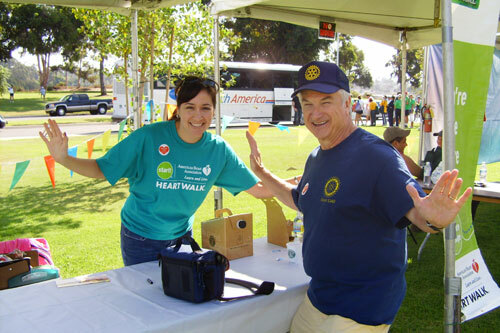 We had nearly 10,000 participants in attendance to help raise awareness and critical funds for cardiovascular disease/stroke research and valuable community programs. At this year’s event, our Rotarians gathered signatures on cardboard “sneakers” to send to Congress on behalf of the FIT Kids Act, a bill that would help improve physical education for children across the U.S. Whenever an attendee signed a “sneaker” our Rotarians also talked about how Rotary is “Making Dreams Real” for children and gave out invitations to join us for lunch. Special thanks are in order to Jerry Zampa for getting the invites printed for free! Also, hats off to our President, Ken Tranbarger, who was featured live on CW6 talking about the FIT Kids Act!